You are currently browsing the tag archive for the ‘shoegaze’ tag. After silence, that which comes nearest to expressing the inexpressible is music. Sadly I’m not the first to say this; it was Aldous Huxley, who was the first to say a stack of really interesting things. Trying to put my jealousy aside, Huxley is right – music does express the inexpressible, which is handy because otherwise we’d be even bigger basket-cases than we are already. 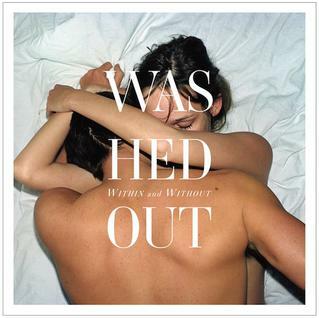 Thankfully, the last couple of months have been awash with great music, and awash is an apt word, because one album I’m enjoying very much at the moment is Within and Without by Washed Out. Frankly, that’s a crap name for a musical project, but it’s highly appropriate – twenty-eight-year-old former librarian Ernest Green (with a name like that of course he was a librarian) makes what the kids are calling ‘chillwave’ music, which, is also a crap name, but again it’s accurate. This record reminds me of early 90s English shoegazers Slowdive (these names were never any good, were they), except Washed Out backs it all with shuffling dance beats. Apart from ‘Amor Fati’, which is just a little too vacuously buoyant for my liking, this is finely crafted music. It may have nothing to say, but it does say it pretty damn well. 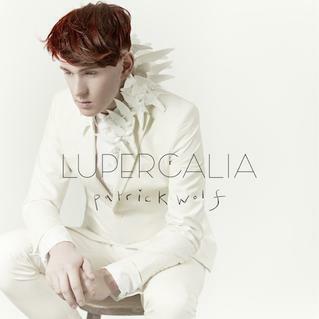 I approached Patrick Wolf’s latest album Lupercalia with caution. Early reports suggested that it was the poppiest Wolf record to date; someone even went so far as to say that Patrick is today’s version of Rick Astley, which is grossly unfair – and just a little hilarious. I’ve been following Mr Wolf for some years now: he’s talented, hugely creative, takes risks, and he has the widest of emotional ranges (that’s not a euphemism, by the way). Lupercalia is certainly the most straight forward set of songs that he’s ever done, but there’s still enough twists and turns to make it sound like nothing else on earth. And Patrick is apparently getting married shortly, so we can allow him to be just a little chipper, can’t we? Especially when he’s lucky enough to live in a country that allows more than one type of sexual orientiation to get married. So I’ve found myself turning this record up loud and singing along and annoying the neighbours, who are probably sharpening their abattoir knives, or – perhaps, just perhaps – singing along as well. 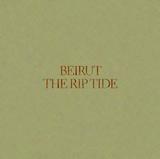 Another artist I’ve been following for a long time is Zac Condon, otherwise known as Beirut. Originally a solo project, Beirut is a band these days, though it’s an odd band to say the least, comprising brass and mandolins and accordions more than anything else (with the odd drum machine thrown in, just to keep us on our toes), the whole strummy-crash-bang of it all overlaid by Condon’s deep baritone that suggests an eighty-year-old drunk rather than the young and handsome chap he is. Influenced by Baltic folk music, Beirut precariously straddles celebration and melancholia, more often than not ending up sounding like a bunch of homeless men having a Saturday-night jam down on the street corner. The Riptide is certainly Condon looking for a poppier, snappier sound (perhaps he should do something with Patrick Wolf, which is a sentence I should have thought more about before I wrote it down; what would Mr Wolf’s fiancé say about that? ), but it’s still utterly beguiling stuff. Pour yourself a glass or seven, light the fire, and sing along to Condon and co as if there’s no tomorrow, which, you know, may well be true.